The Martini-Henry was a single shot breech loading rifle adopted by the British army in 1871. 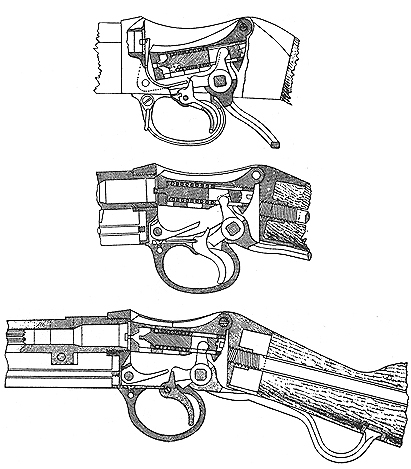 It combined Von Martini's loading mechanism with Henry's rifling. It used a similar cartridge to that used with the Snider, but at a slightly reduced caliber. Hence the rather strange caliber designation of .577/.450in. This rifle could be fitted with a bayonet.